Financing is an important part of investing in real estate. A good relationship with your bank and bank manager is therefore very important. Always act politely and professional when you met with the bank. Whether the bank staff like your or not can make the difference between you getting a loan that allows you to invest in a new property and you not getting a loan. 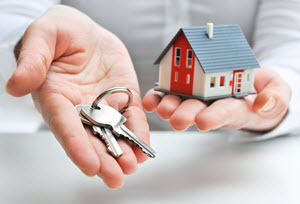 If your goal is to build a real estate portfolio you should always finance your property investments through a bank. This is true even if you can afford to buy a property without a loan. By leveraging your investment with the help of bank loans you can grow your portfolio quicker and get a better return on your money. If you goal is to flip the property for a quick profit you should only finance your purchase through a bank if you need to. If you can afford to buy the property without the help of the bank then that is a better option. This way you avoid costs associated with a bank loan. Since you plan to sell the house quickly you will not gain anything from leveraging the purchase. You should not be afraid to borrow money if it allows you to complete more flips than you would otherwise be able to. Since financing is such as an important part of success in real estate you need to make it a part of your investing strategy. Your overall investment strategy need to include a strategy for how you will guarantee that you are able to met your obligations towards your bank. By including financing in your strategy right from the start you will be able to make more informed decisions and grow your real estate portfolio more quickly. Talk to the bank so you know to what percentage they will allow you to leverage your purchases. You should also find out what the maximum amount they are willing to lend you is. It is worth going to different banks to see which one will allow you to borrow the greatest percentage of the property price. The higher percentage you are allowed to borrow the higher return you can make on your investment. How large part of the purchase price you are allowed to borrowed is often more important than to find the lowest interest. As an investor it can be worth one tenth of a percentage point extra if that gives you a higher leverage. When you know how much of the purchase price you are allowed to borrow you can calculate how much you can invest in a property. Simply multiply your down payment with the leverage the bank will allow you to find out what the maximum price you can pay for a house is. It might be possible to borrow the entire purchase price of the house. Some banks makes it possible to take a separate loan for the down payment. This type of loan is usually associated with higher rates than regular mortgages. It can on some occasions be hard to find a bank that is will allow you to borrow the down payment.. This can be especially true if you have a less than stellar credit score. The easiest way to find a bank that allow you to borrow the down payment is to use a website that focus specifically on this type of loan. Always use a local website that targets your area. General websites can often offer erroneous information. An example of a a good website that focus on a local market is the Swedish website lånatillkontantinsats.se. You should always check if you are eligible for government down payment assistance before you start looking for private loans. Governmental down payment assistance almost always offer better terms than private loans. This will tell you what the maximum amount you can invest is. It will not tell you how much you can or should pay for an individual house. To calculate that you need to look at the cost of the renovations needed and how much the house will rent or sell for once you are done. When you know this you can count backwards from the potential value of the house by deducting the renovation cost, your desired profit and a contingency found back to the maximum price you can pay for the house. Never go above this price even if the bank is willing to lend you more money. If you do you will jeopardize your profitability and your ability to continue to grown your portfolio. If your goal is to keep the house as an income property you need to make sure that the income the house can generate is enough to cover the mortgage. When looking to finance a property it is important that you make several calculations at different interest rates so you know that your property can remain profitable even if the interest rates goes up. This is especially important right now as the interest rates are at historically low levels. It is safe to assume that the interest rates will return to normal levels during the maturity of you loan. 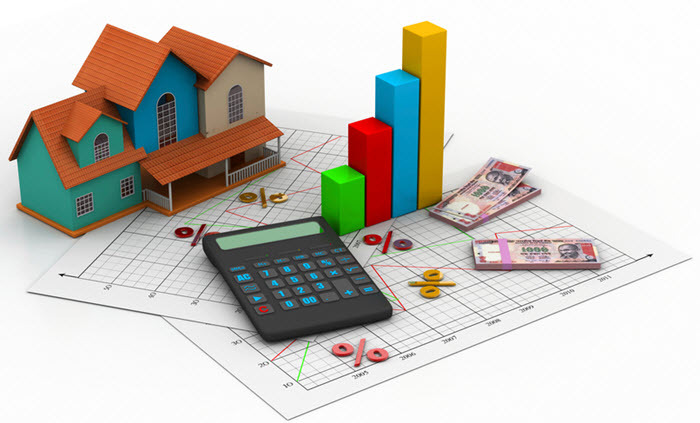 It is therefore very important that you real estate portfolio can remain profitable even at more normal interest rates.